It’s mid way through elderflower season so you’ve only got a couple more weeks before this wonderful flower is past its best. 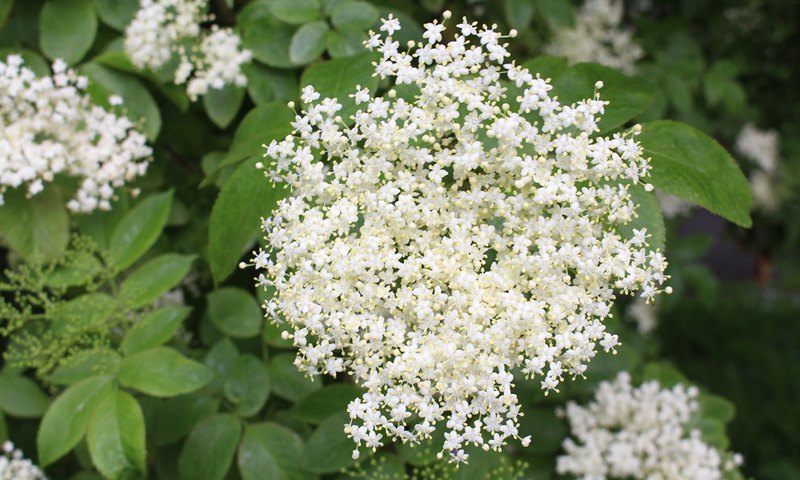 There are quite a few elderflower recipes out there to try; elderflower cordial, elderflower fritters, elderflower pana cotta to name just a few, but my favourite has to be elderflower champagne. Technically it’s elderflower sparking wine but lets face it elderflower champagne does have a nice ring to it. The recipe I use is based on the Hugh Fearnley-Whittingstall’s River cottage cookbook recipe and you can find a version of it online here. 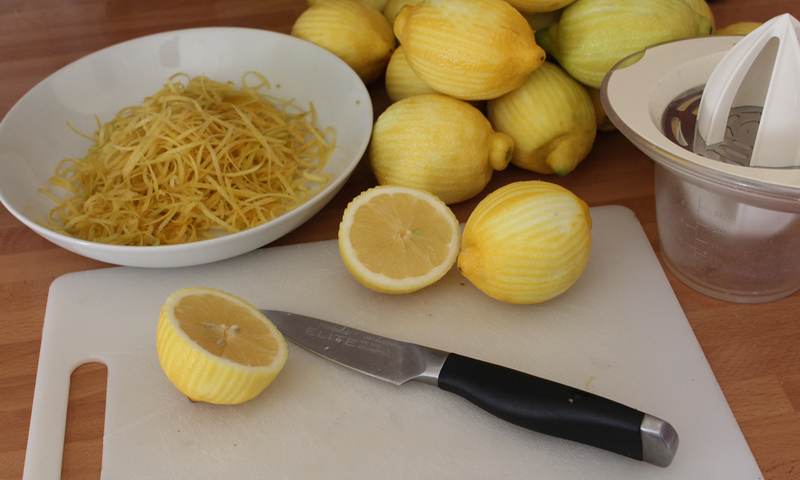 I’ve been doing this recipe for about 4 years now. When I first started I doubled the quantities, to make 12 litres, a year later I quadrupled them, last year I octupled (8 times) to make 48 litres to keep up with demand from family, friends and of course myself. You need to pick elderflowers on a sunny dry day. 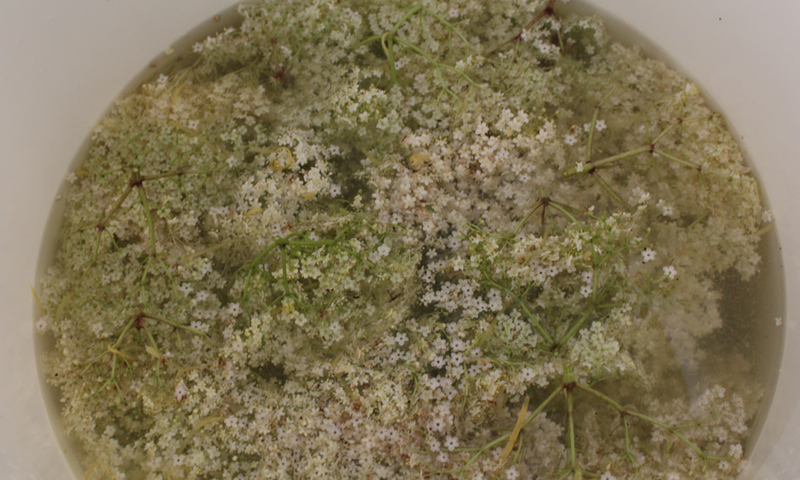 Picking elderflowers when they are wet or on a damp day can lead to the champagne being more susceptible to mould and going off. Pick them from a pollution free area, not right next to a busy road. Take some scissors with you to snip the flowers off the tree, if you try to snap them off with your hands you’ll end up with petals everywhere. Always check for black flies or green flies before you cut the flowers off the tree. One or two incests are fine on the flowers by the time you get the elderflowers home they will be gone but if there are quite a few (usually on the stem just below the flower) then its best to pick another flower. In addition to checking, always pick a few more flowers than you need just incase you find one not up to standard when you get home. This is so important, sterilise everything you use to make the champagne use boiling water and elbow grease to wash everything before you start. You don’t want any contamination effecting your brew. You can get sterilising tablets and sprays from home brew stores or home brew websites which work well. 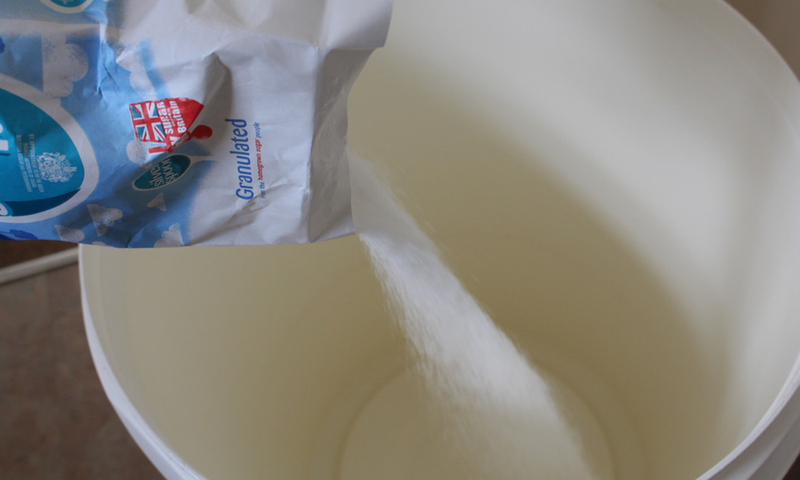 Add the sugar to the bucket along with 2 litres of boiling water and stir until the sugar has dissolved, then add the 10 litres of cold water. You should leave your champagne to ferment in a airy place not too hot or cold and at a constant temperature. I leave mine in my garage as my house gets far too hot. I check the champagne everyday while its fermenting in the bucket as I want to check if its actually fermenting and for any signs of mould. There should be wild yeast within the flowers to start the fermentation process. After about 2 days if you don’t see any signs of fermentation (light bubbling/foaming and the sound of popping) then add a pinch of the champagne yeast. I often have to do this so don’t worry if you have this problem. If you can smell TCP (the bottled antiseptic), then I’m afraid the champagne has gone off and there’s nothing you can do apart from throw it away and start again. Sterilise the bottles with boiling water or sterilising tablets before bottling. Use either very strong glass bottles with Grolsch style stoppers or plastic pop bottles. There’s a lot of pressure after a few weeks so strong bottles are a must. Put somewhere out of the way and in a box just incase you have a bottle shatter. Store the bottles in a cool place for at least a week before drinking. It will happily stay in the bottles for a few months, I often leave a few bottles until Christmas.